Hi everyone! I have the new Naughticle Collection from Glitter Daze for you today! Ahoy, Mate Me! is a baby blue creme. The formula was smooth and easy to apply. I love a good baby blue, and this one did not disappoint! Shown is two coats of Ahoy, Mate Me!. Beach Bumming and Grinding is a light almond creme. The formula was smooth and easy to apply. I really like this shade a lot! It's a good neutral, but it leans pastel as well. Shown is two coats of Beach Bumming and Grinding. Floozin' & Cruisin' is a light lilac creme. The formula was smooth and easy to apply. 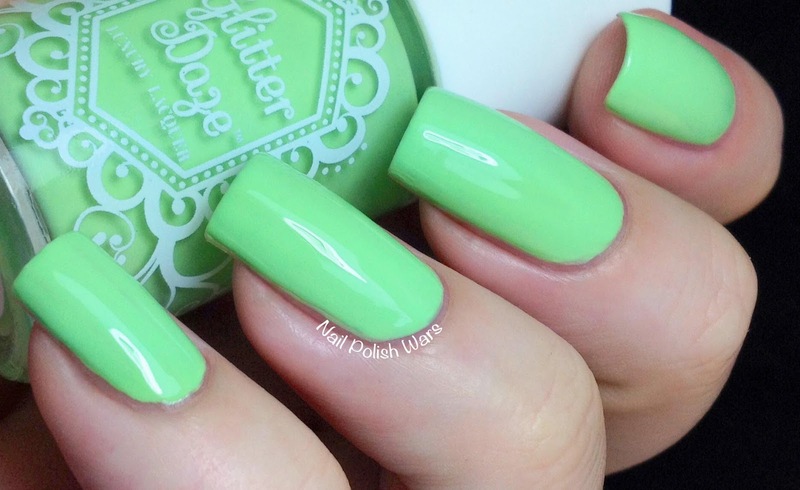 This is such a sweet shade! I love it! Shown is two coats of Floozin' & Cruisin'. Holla for a Sand Dolla is an off-white creme. The formula was smooth and easy to apply. I like how delicate this shade is! Shown is three coats of Holla for a Sand Dolla. 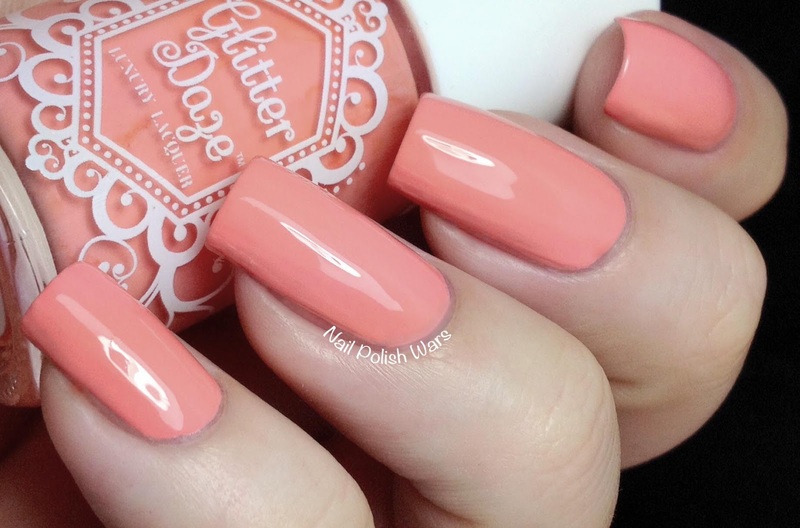 Hook, Line, and Kiss Me is a soft coral creme. The formula was smooth and easy to apply. I absolutely adore this shade!! Shown is two coats of Hook, Line, and Kiss Me. I'm Feeling Yachty is a soft yellow creme. The formula was smooth and easy to apply. I love how sunny this one is!! Shown is three coats of I'm Feeling Yachty. Nooner on the Schooner is a soft peach creme. The formula was smooth and easy to apply. I really like this shade! It's just beautiful! Shown is two coats of Nooner on the Schooner. Rolling in the Bay is a medium purple creme. The formula was smooth and easy to apply. This is such a great pop color! Shown is two coats of Rolling in the Bay. Surfbort is a soft pistachio creme. The formula was smooth and easy to apply. I actually like this one a lot more than I thought I would. It's such fun to wear! Shown is two coats of Surfbort. The Lovers Boat is a medium pink creme. The formula was smooth and easy to apply. I love how girly this shade is! Shown is two coats of The Lovers Boat. You can find these and other great Glitter Daze shades at their storefront here, and be sure to check them out on Facebook for all of their latest updates and collections. Such pretty cremes these all are! I had to get Surfbort and Rolling In the Bay. Indie cremes make me happy and these are so gorgeous! :) Rolling stained my nails like a mofo, though. These names are hilarious! Worth buying the collection just because of the names!